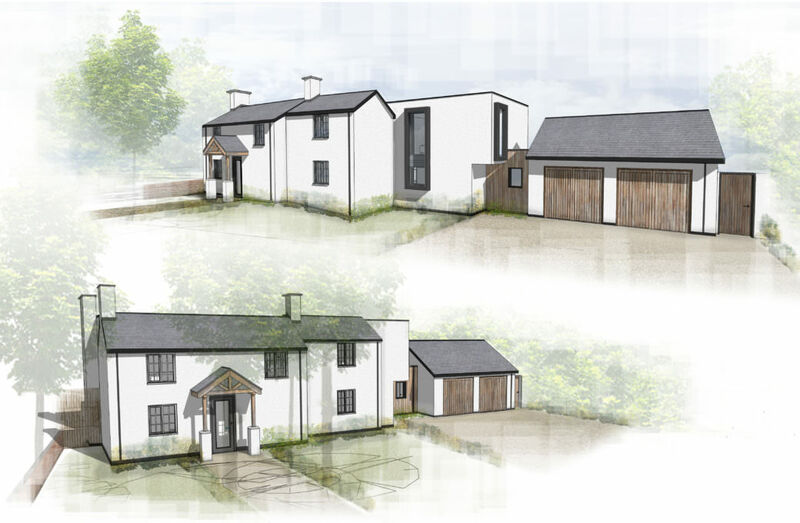 This cottage has had a number of additions over its life time which were unsympathetic and detracted from its character, culminating in an amalgamation of differing forms, scales and levels which did not relate to one another and created disjointed internal spaces. 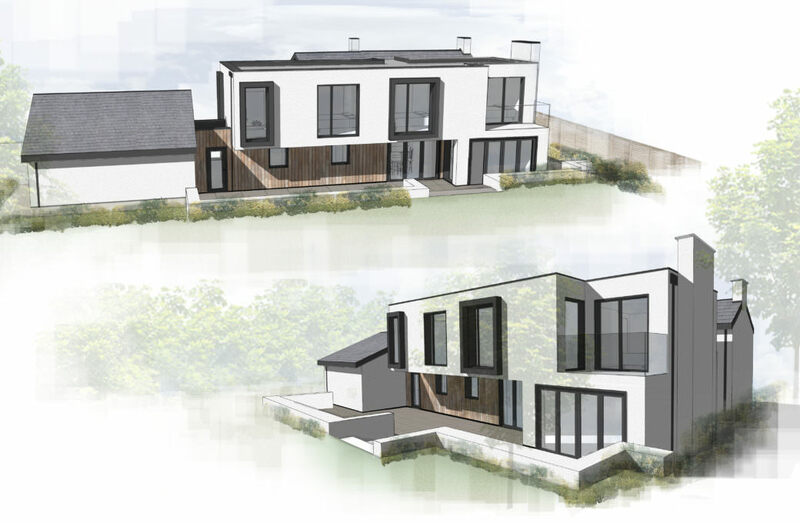 Our brief was to remove and replace the existing extensions and completely refurbish the property internally and externally. 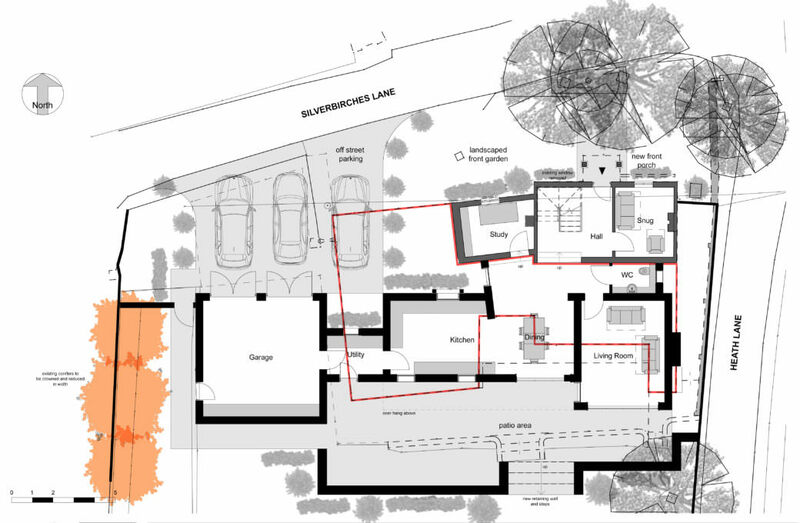 The footprint of the design proposal was carefully considered in the context of boundaries and landscaping and the consented scheme sits comfortably within the existing site, utilising currently unused garden space to the west. 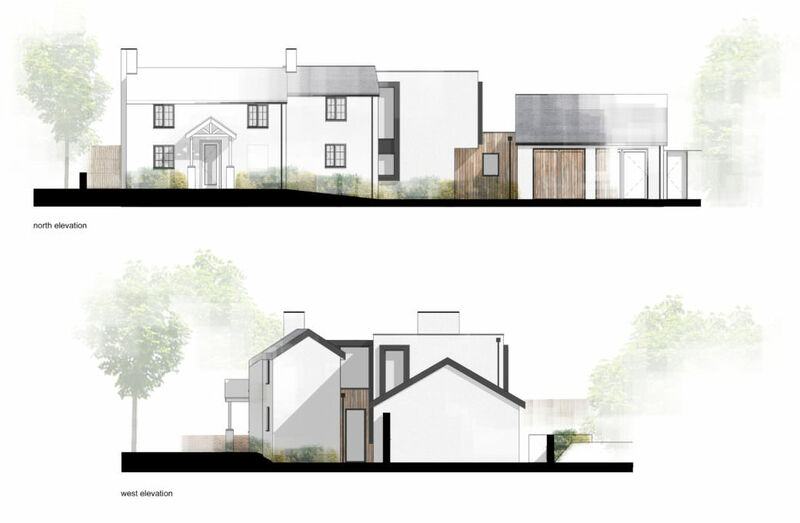 The existing point of entrance to the house has been retained to ensure the cottage is an integral part of the design. The internal levels at ground and first floor are maintained, but with a new lower ground floor level in the new extension. This enables good floor to ceiling heights, but helps to reduce the scale of the extension, ensuring it is subservient to the existing cottage. 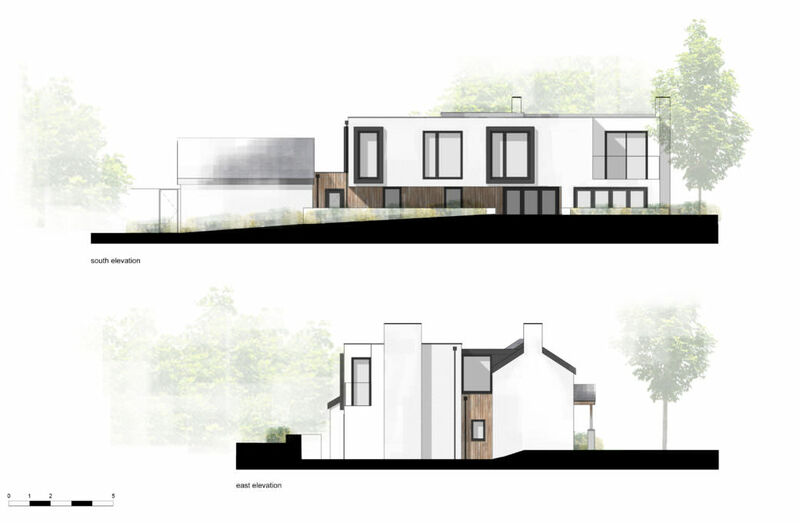 The use of white render creates an aesthetic synthesis between the old and new buildings and the vertical timber cladding has been chosen to relate to the immediate woodland context which surrounds Aspley Heath. External grey oriel window frames have been incorporated into the design to articulate key windows and frame views, but also to provide an extra level of privacy to the internal spaces. The colour choice brings a 21st century aesthetic to the elevations, but carefully relates to the colour palette that already exists. The inclusion of larges areas of glazing and bi-fold doors improve the building's usability and the visual and direct relationship between the house and gardens.